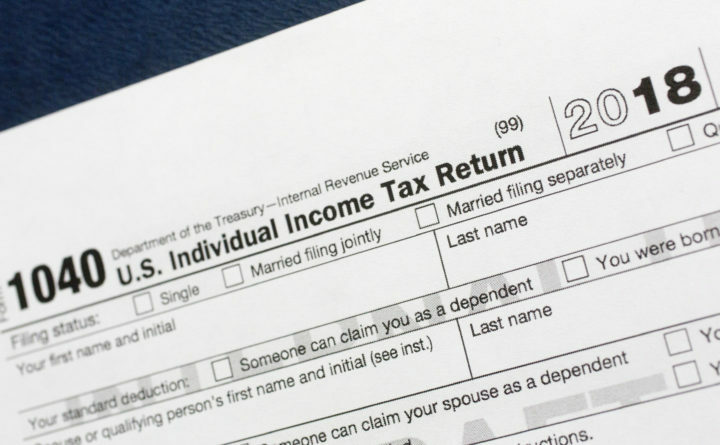 The 1040 U.S. Individual Income Tax Return form for 2018. Members of Maine’s congressional delegation are demanding the Internal Revenue Service reopen a closed Taxpayer Assistance Center in Bangor. The IRS said the closure is temporary, but U.S. Sens. Susan Collins and Angus King and U.S. Rep. Jared Golden said that’s what the IRS said when shuttering a Taxpayer Assistance Center in Presque Isle last year, which has not reopened. Taxpayer Assistance Centers allow residents to speak with IRS staff in person, and the centers provide free tax preparation help to lower-income taxpayers. The Bangor center was located in the Margaret Chase Smith Federal Building on Harlow Street. Collins, King and Golden point out the Bangor center was the last one in Maine’s 2nd District. The three members of Congress have written to the IRS commissioner with their demand that the Bangor facility reopen.